Early 20th Century Bakers HOVIS Sign from an Ex Bakery in Suffolk. Lovely original condition. 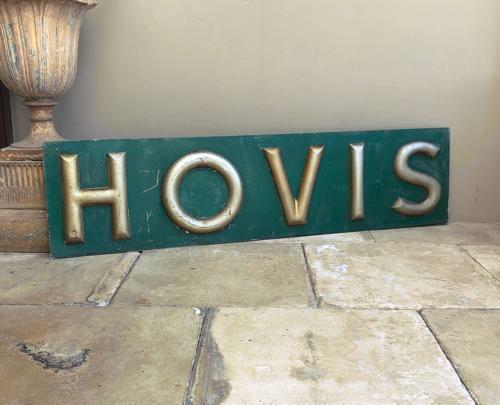 Many Hovis signs, if you do find them, have been over painted...this hasnt - the gilt on the letters and green of the background are completely original. Beware there are also reproductions of these signs around now too.